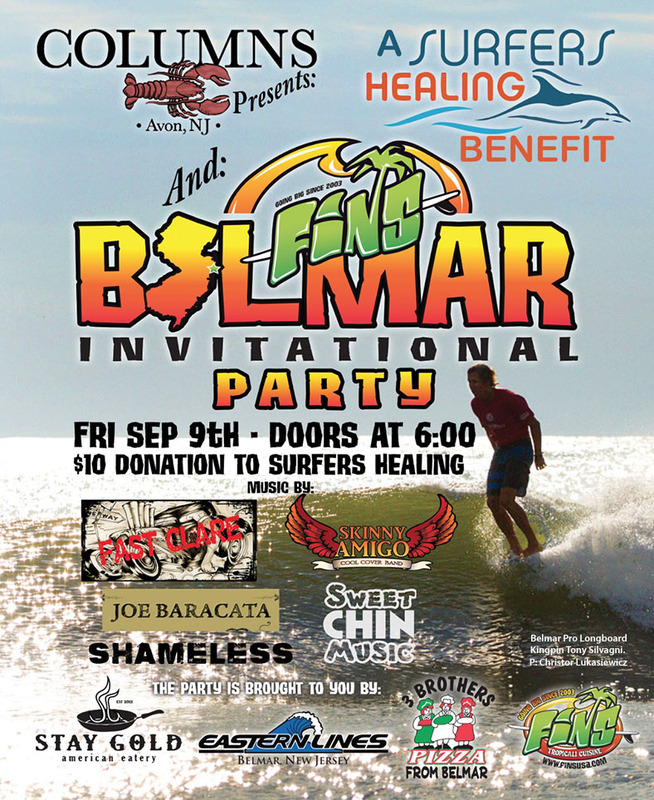 To kick off the first day of the event on Friday, September 9th we are ending the first day of competition with the 2016 FINS Belmar Invitational Surfers Healing Benefit Party a few blocks away at Columns in Avon, NJ. 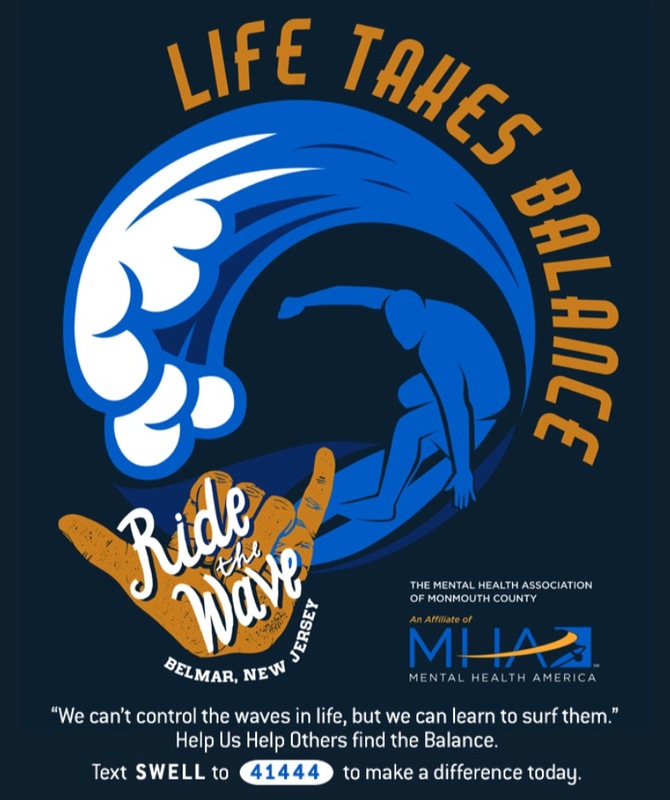 Doors for party start at 6:00pm and asking for a $10 donation to the Surfers Healing Organization. Music by Fast Clare, Skinny Amigo, Joe Baracata, Sweet Chin Music and Shameless. ← DUE TO POPULAR DEMAND . . .